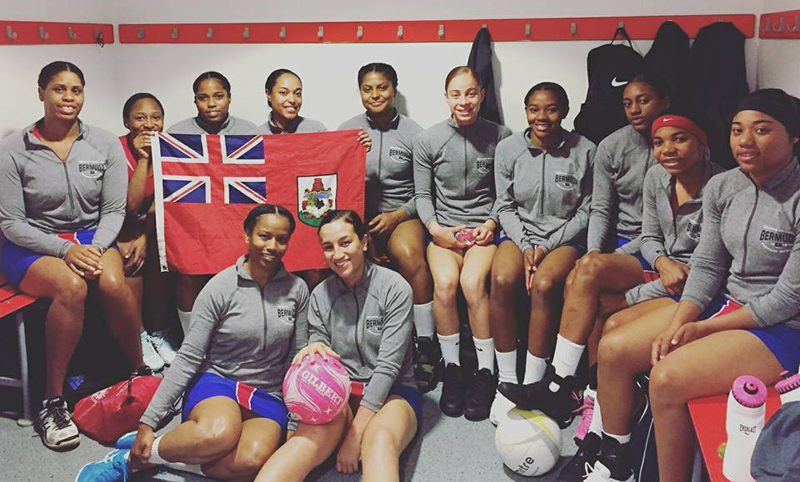 Bermuda’s netball team continued at the European Netball Championship in Scotland, taking on Ireland and Gibraltar today [May 13]. Ireland defeated Bermuda by a score of 44 – 24, with Danielle Raynor scoring 20, while Talia Lucas and Jahtuere Trott scored twice. The first quarter saw Ireland take a 12 – 8 lead, and by half time their lead was 20 -12. They were up 34 – 18 by the end of the third quarter and the game ended 44 – 24. The second match of the day saw a closely contested match with Gibraltar, who defeated Bermuda by a score of 50 – 44. Danielle Raynor had 32, Talia Lucas scored 3, while Jahtuere Trott recorded 9 goals. The first quarter saw Gibraltar lead 13 – 9, by the end of the second quarter they held a 26 – 21 lead, and by the end of the third quarter they were up 38 – 29.